Getting addiction help usually begins when the addicted person faces up to their addiction and realizes that assistance is necessary to fight it. However, even people who are forced into getting sober—such as teenagers compelled to enter rehabilitation by their parents or educators or drug abusers with sentences for drug-related crimes that include addiction treatment—find that they are able to get clean and sober. 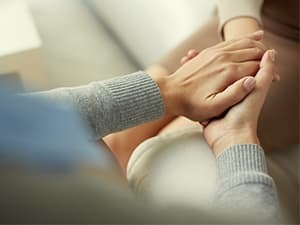 Rehabilitation treatment, which can include medical support for overcoming physical addiction and other physical effects of drug and alcohol abuse, as well as counseling to overcome the root cause of an addiction disorder, is the key to getting sober and rebuilding a healthy, drug-free life. Realizing that you or someone you care about needs addiction treatment is not a sign of weakness. It is a sign of strength to find the help you need to get clean and sober. Substance addiction is a recognized brain disorder that responds quite well to treatment. It is no more a reason for shame or embarrassment than diseases such as diabetes or heart disease, which are both organic and possibly linked to lifestyle factors. A recreational user of drugs or alcohol may be able to get clean and sober without any help once they realize that using mind-altering substances for recreation is more harmful than it is enjoyable. However, a patient who suffers from an addiction disorder needs treatment to overcome both the causes and effects of substance addiction. Addiction should be treated as quickly as possible. An addict does not have to experience any disastrous personal, social, financial, or health-related catastrophes resulting from their addiction for treatment to succeed. In fact, treatment is often more successful when it is started at earlier stages of addiction. An addicted person’s loved ones should recognize addiction as the medical problem that it is and treat them as they would treat someone they care about who suffers from any other physical disease. On the other hand, they should realize that part of the process of addiction is denial, in which an addict does not even think about getting sober because they do not realize the nature of substance addiction. Therefore, to convince someone that it is time to seek addiction help, family, friends, colleagues, clergy, and other close contacts of a person suffering from substance abuse should gently point out any ill effects that substance abuse is causing the patient. People who suffer from addiction disorders often have a family history of addiction. This factor points to a possible genetic cause for at least some cases of substance addiction. Substance addiction is a disorder caused by changes in the brain. When a recreational drug user ingests or otherwise administers mind-altering substances, he or she may or may not develop an addiction. This is true even if the recreational drug user is abusing drugs by using them more frequently or in higher doses than may be physically safe or by using drugs that are not legal for medical use because they are too addictive or too dangerous. In fact, addiction does not necessarily develop when a substance produces physical dependence that may require medical treatment. A patient with a pain condition who develops tolerance and physical dependence to legitimately prescribed opioid narcotic painkillers, but does not constantly crave higher and more frequent doses of medication only to obtain a pleasant effect, is not an addict. Addiction is defined as a psychological and/or physical need to use substances in order to experience a particular effect, combined with the inability to function properly without use of that substance or at least experiencing a similar effect. An addict needs to get clean and sober by changing patterns in their brain that require the constant presence of one or more addictive and mind-altering substances. Getting sober is possible with addiction help that reprograms the inner mind and even the physical brain to cope without mind-altering substances and their addictive effects. Psychological addiction results when an addict feels he or she cannot function without an addictive substance. A patient who is psychologically addicted to the effects of a drug feels that he or she needs those effects, such as the calming effect of alcohol or barbiturates or the stimulant effect of cocaine, to be able to deal with real, expected, or imagined pressures. The need to drink caffeine-containing tea or coffee in the morning may represent a relatively harmless case of psychological addiction. Physical addiction results when even an addict who has a psychological desire to get clean and sober cannot do so because they have developed a physical need for the effects that an addictive substance produces on the brain. This effect is usually connected with the release of dopamine and endorphins, which produce the high for which users turn to mind-altering substances in the first place. Dopamine and endorphins are brain chemicals released in large amounts when opiates, such as heroin and opioids including oxycodone, among other substances, enter the bloodstream. Other drugs, such as barbiturates, release chemicals such as GABA that produce a calming, but no less pleasant, effect. “The problem of physical addiction arises when the brain becomes so accustomed to the presence of high levels of dopamine, endorphins, GABA, or similar substances…”The problem of physical addiction arises when the brain becomes so accustomed to the presence of high levels of dopamine, endorphins, GABA, or similar substances that it cannot send proper signals to the body without the presence of something that triggers release of higher and higher amounts of these natural chemicals. When the trigger, which is the substance that is being abused, is not present, the brain sends tangled messages to the various organs and glands throughout the body. These confused messages cause the organs and glands to malfunction, and this leads to withdrawal symptoms. Even an addict who is psychologically ready to get clean and sober can rarely overcome withdrawal symptoms without addiction help. This is why the first phase of most addiction treatment programs includes medically supervised withdrawal treatment. Inpatient recovery treatment, which takes place in the pleasant atmosphere of a treatment center that is often reminiscent of a luxury resort, is usually the preferred method of treatment for serious cases of addiction. These recovery centers offer the services of trained and experienced medical personnel who specialize in the treatment of physical addiction. Their services, which are known as detoxification, or detox, are often the first step of the residential rehabilitation process. Detoxification is actually a misnomer, as medical treatment for physical addiction does not rid the body of toxins. Instead, it aims to lessen the impact of withdrawal symptoms. It helps the patient to get clean and sober by tackling the physical effects of substance addiction. Medical detoxification therefore consists of administering safer and less addictive medications that mimic the effects of highly addictive substances on the balance of brain chemicals. These substances, which can include certain sedatives and even a medication usually used for treating high blood pressure, treat the need that the body has developed for high levels of mood-altering natural brain chemicals. Once this need has been mitigated as much as possible, the focus of residential treatment turns to behavior modification therapy and counseling. Detox has come to mean medical treatment of physical withdrawal symptoms, but some residential and outpatient treatment programs use the term to include treatment with vitamins and herbal preparations that may help to undo or lessen damage that long-term drug abuse can cause to the health of a recovering addict. The behavioral and psychological phase of rehabilitation treatment begins with an assessment, in which professional therapists at the rehabilitation center discuss with the patient the personal, social, and psychological factors behind his or her addiction disorder. Once the addiction counselors understand what led the patient to develop an addiction disorder, they work with the patient to develop healthy coping strategies to deal with these personal and environmental triggers. This is often done using Cognitive Behavioral Therapy (or CBT), an effective technique that allows patients to observe and understand their thoughts and feelings and how they impact their behavior. Residential treatment programs also include sports, art, music, meditation and other self-realization techniques that help patients get clean and sober. While research shows that a 90-day stay is ideal for a residential rehabilitation program, patients who cannot participate in full-time treatment for this recommended length of time can benefit from outpatient addiction help. Outpatient treatment can be useful either as a follow-up to a stay of any length in a residential treatment center, or as an alternative to inpatient treatment for milder cases of addiction. When outpatient therapy is given instead of residential rehabilitation, it usually starts with medical treatment for physical addiction that is administered in an office or clinic. Physicians who operate such practices must obtain special licenses so that they can administer medications such as buprenorphine, which lessen the impact of withdrawal symptoms, in their offices or clinics. Outpatient counseling is usually started as soon as possible, even if medical treatment must continue along with counseling in order to make sure that the patient is indeed able to get clean and sober without being tempted to return to drug use. Participation in self-help peer groups, such as those modeled on the renowned 12-step approach, is also recommended, both as part of outpatient treatment and to patients who are continuing with supportive addiction help after completing a residential recovery program. Once you have decided to get help for your addiction, it’s common to wonder what to expect from whichever treatment program you choose. Emotionally, it’s completely normal to feel scared, uncertain, or even angry. It’s a big step toward your healing, but it’s also a big change from everything you’ve known up until this point. If you’ve vetted a good treatment program, you can trust in the experienced staff to support you and guide you through the process. And you’ll have the camaraderie of the other patients who are in the same boat as you, which can help you feel less alone and afraid. Practically speaking, as you’re learning more about your specific treatment options, you can expect to need your insurance and other financing information when you speak with the admissions consultants at each program. You will also need your primary care physician’s contact information, as well as that of your psychiatrist and individual counselor (if you have one) to coordinate care while you are in rehab. When it comes time to enter your treatment program, you should have a list of what you can and can’t bring with you that the admissions consultant provides. If you did not receive one, it’s a good idea to ask for one ahead of time to avoid any misunderstandings the day you arrive. And while it’s good to be as prepared as possible, you may not ever feel fully ready to get clean and sober, but that is also normal—and does not mean you shouldn’t go. It’s just the natural response to making a big change in your life. But it’s one that will bring you so many more benefits than your addiction ever could and you’ll be supported every step of the way.